Less than 30 years ago, a totally color-coordinated bathroom was in vogue--down to the toilet paper. Colored paper, frequently accompanied by a fragrance, was expected in the well-dressed home. However, in 1987 the FDA revolutionized the cosmetics industry by placing a ban on certain dyes and scents since it saw an alarming increase of cancer in laboratory animals that were exposed to dyes and fragrances. There were, and are, other concerns that led to the eradication of colored toilet paper. 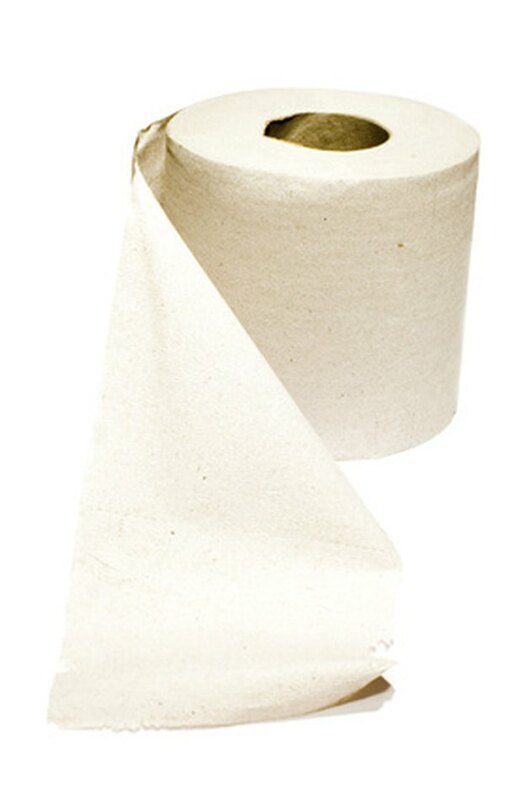 As a result, tinted toilet paper has all but disappeared from the market. Today, due to environmental concerns, the only color of toilet paper is "green." Toilet paper used to come in colors other than white. The FDA and the Department of Health and Human Services placed a ban on dyes used in the coloration of toilet paper in 1987 due to an increased risk of cancer in laboratory animals. It was presumed that the close proximity of these dyes to a woman's reproductive organs would lead to an increased spike in cervical cancer. The use of scented and dyed toilet paper can lead to inflammation and itchiness of the rectal area. Additionally, it is a good health habit to look at your excrement every so often to examine it for blood in the stool. Colored paper gets in the way of this visual health check. Colored toilet paper is extremely irritating to the vaginal area,and is one of the causes cited for urinary tract infections. According to MedlinePlus, one of the first questions a doctor asks a woman with a yeast infection is if she is using colored or perfumed toilet paper. A direct cause and effect is established between the two. The dye used in colored toilet paper is bad for household septic systems since it doesn't break down at the same rate as the paper. It puts an increased strain on the system, causing backups of the septic system, which can cause sewage waste to reenter the home, causing an obvious health hazard. Adding dyes and fragrances causes an increased strain on the environment, and consumers don't need or want these byproducts in their toilet paper. Today's savvy consumer demands all natural products that are free of dyes and perfume. Using white or even unbleached toilet paper is a small way to help preserve the environment, which leads to a healthier planet. What Toilet Paper Should I Use for Septic Tanks? What Products Are Made from Recycled Paper? Is it OK to Put Kleenex in Toilets? What is the Rarest Rose?